I remember when I started first playing around with social media, I reckoned that about third of people were not on LinkedIn and it was the place to put an online CV. Hoping that a headhunter would whisk you away for that dream sales job. Now everybody is on LinkedIn, this article is incorrect, there are now 610 million people, worldwide on LinkedIn. LinkedIn has also changed, where as it was about having an online CV, now people "hang around" on LinkedIn and check people out. Linkedin is now the place where you must spend time with your profile, making it buyer centric. What do I mean? If somebody contacts me over phone or email, then I look them up on LinkedIn. It's saved me a couple of times from very convincing spam emails, where the person doesn't exist on LinkedIn. As a friend of mine said "if a person isn't on social media, then what are they trying to hide?". 100%. Just like you and I, buyers are checking you out on-line and they are looking for an expert that can help and guide them. So while a "personal brand" sounds like something Posh, now it's a requirement for all salespeople. If you are in sales you need a personal brand. If you need a job you need a personal brand. Customers expect it and so do sales managers. The ROI of social selling was proven nearly 4 years now with my article "how to get 10 meetings a week with social selling" which is still on my LinkedIn profile. My bestselling book "Social Selling - Techniques to Influence Buyers and Changemakers" the first book on social selling came out in 2016 and it's still selling well. A world leading IT company just purchased 600 copies for its sales force. I'm not being boastful, just making the point that more and more people are getting into social selling. Linkedin has become part of how we work. Apple Newtons and Compaq iPaqs have all come and gone. But LinkedIn is still here like our Apple Macbook and Apple IPhone it's an indispensable part of the sales and marketing "kitbag". Since its launch in 2003, LinkedIn has come a long way. Originally little more than a Facebook for the working world, the professional social network now boasts more than 575 million members. Along the way, it’s become a top recruiting platform, a must-have for marketing, a networking platform and a saving grace for salespeople. But LinkedIn’s legacy isn’t written just yet. In fact, the social media platform’s future looks brighter than ever. 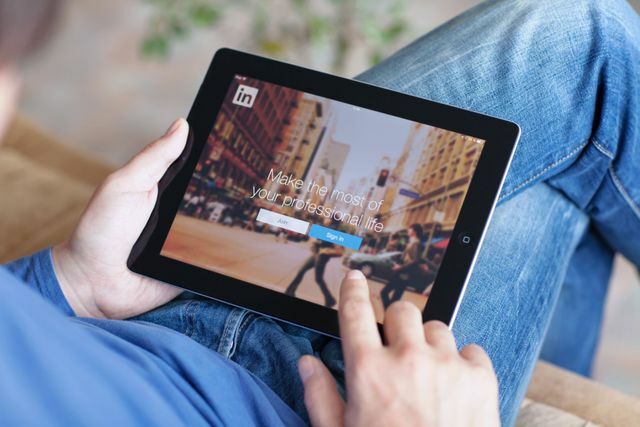 Media consultancy 4C reported last August that the only social media platform to beat Instagram’s 204 percent year-over-year growth in ad spend was LinkedIn, which posted a 212 percent jump over the same period. For all other social platforms, 4C found that ad spend grew less than 50 percent last year.